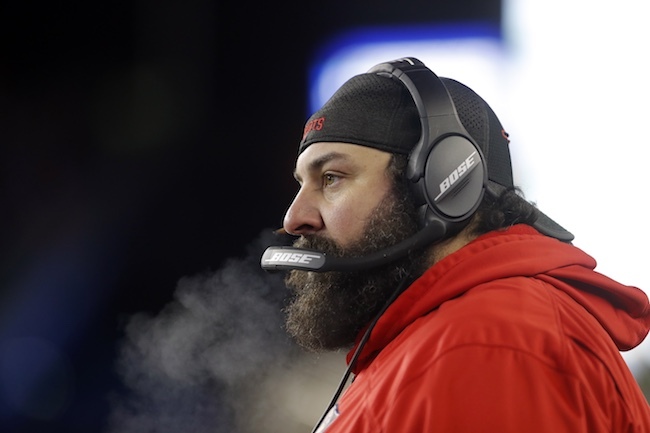 ESPN is reporting that one of the three supposedly desired New York Giants head coaching finalists – New England Patriots Defensive Coordinator Matt Patricia – will be hired by the Detroit Lions. 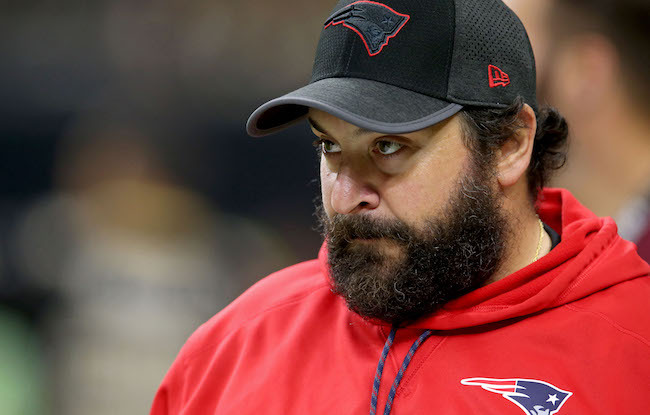 SI.com is also reporting that the Lions have informed their other head coaching candidates that Patricia will be their next head coach. The move cannot be officially announced until New England’s season is over. ESPN and The Daily News had reported last week that Patricia was in fact the Giants’ preferred target. Other sources have said that it was not clear that Patricia was the favorite. 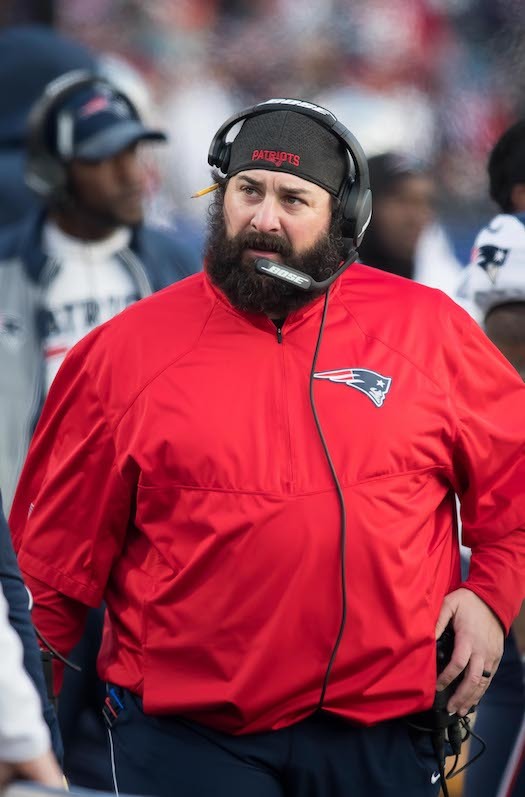 According to multiple press reports, Patricia, along with Patriots Offensive Coordinator Josh McDaniels and Minnesota Vikings Coordinator Pat Shurmur, are the three supposed finalists for the Giants’ job. But since the Patriots and Vikings are both still in the playoffs, no one can officially make a move. The problem for the Giants too is that Patricia (Lions), McDaniels (Indianapolis Colts and Tennessee Titans), and Shurmur (Arizona Cardinals) are all being pursued by other teams. If the Giants are turned down by all three candidates, the speculation in the media is that the Giants could turn back to Carolina Panthers Defensive Coordinator Steve Wilks, who also interviewed with the Giants for the position along with Giants Defensive Coordinator Steve Spagnuolo and Denver Broncos Running Backs Coach Eric Studesville. LATE UPDATE: The Tennessee Titans have fired Head Coach Mike Mularkey and are also believed to be pursuing McDaniels. 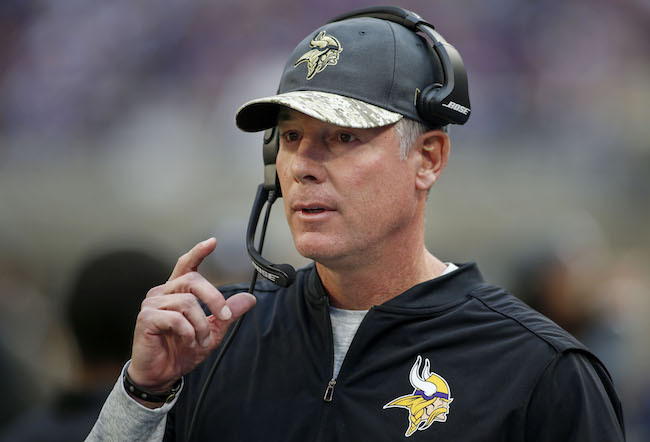 New York Giants Tight Ends Coach Kevin M. Gilbride has joined the coaching staff of the Chicago Bears. Henry is the fifth Giants coach to depart this offseason, including Offensive Coordinator Mike Sullivan, Quarterbacks Coach Frank Cignetti, Jr., Wide Receivers Coach Adam Henry, and Defensive Line Coach Patrick Graham. 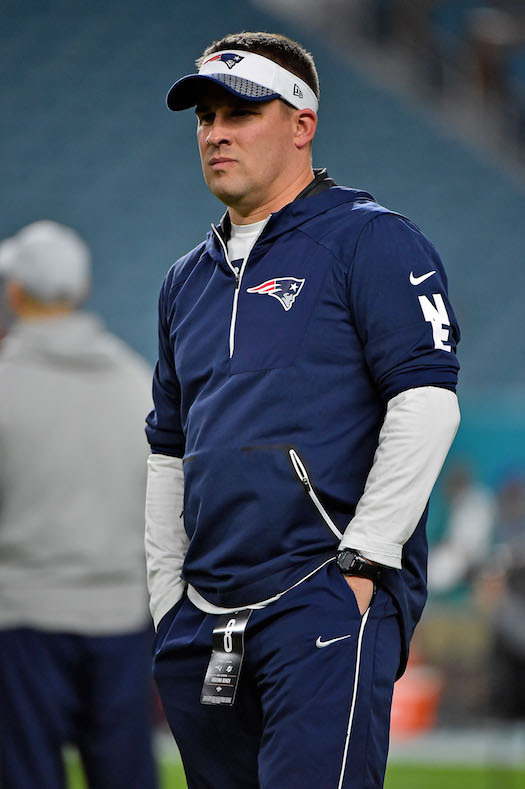 ESPN is reporting that the New York Giants have submitted requests to interview New England Patriots Offensive Coordinator Josh McDaniels and New England Patriots Defensive Coordinator Matt Patricia for the team’s head coaching vacancy. The Detroit Lions, Indianapolis Colts, and Arizona Cardinals have also reportedly requested permission to interview Patricia. 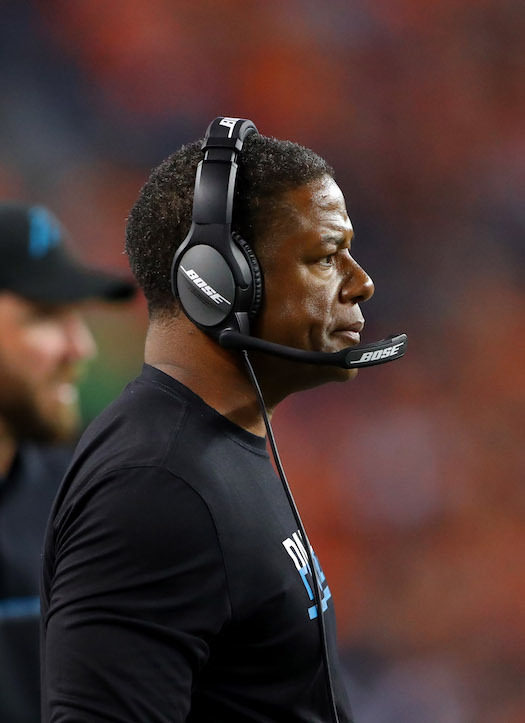 The NFL Network is reporting that the Giants have requested to interview Carolina Panthers Assistant Head Coach/Defensive Coordinator Steve Wilks for the team’s head coaching vacancy. The Indianapolis Colts, Detroit Lions, and Chicago Bears are also said to be interested in Wilks. Because the Panthers play in the first-round of the playoffs on Sunday, teams cannot interview Wilks until next week, whether the Panthers win or lose. ESPN is reporting that General Manager Dave Gettleman has informed the team’s assistant coaches that they are free to look for other jobs without the Giants blocking them. Giants’ GM Dave Gettleman informed team’s assistant coaches today that they are free to look for other jobs without the Giants blocking them, per source. So Giants’ assistants now free to go. Although not officially announced, according to media reports the Giants have signed wide receiver Canaan Severin, defensive end Jordan Williams, cornerback Jeremiah McKinnon, and offensive/defensive lineman Kristjan Sokoli to reserve/future contracts. All four players ended the 2017 season on the team’s Practice Squad.